Our inspection is an objective visual analysis of a home`s structure and mechanical systems. The whole house inspection we perform for you will be of the most complete and in-depth available in the Home Inspection Industry today. Our New Jersey home inspection is an objective visual analysis of a home`s structure and mechanical systems. An inspection will determine the areas of the home that are not performing properly, as well as items that are beyond their usefull life or are unsafe. Our standard inspection is an evaluation of the home’s visible and accessible interior and exterior structure, systems and components. We encourage you to accompany us during the inspection, when it is safe to do so. This allows us to answer any questions, point out emergency switches and shutoff valves, discuss important maintenance items, and familiarize you with your new home. We will provide you with a narrative report that includes digital photos. Most inspectors use a basic checklist, but we believe that multiple-choice check boxes leave too many unanswered questions for the clients. We walk on most roofing systems if they are safe and accessible to get a close look at any concerns. However, the inspector is not required to walk on the roof and you may ask why? If the roof is highly piched, wet or snow covered, it could be very unsafe to do so. Some roof coverings cannot be walked on because they can be damaged. In this case the inspector generally examines the roof from ground level with binoculars or looks out higher windows to get a view of roofing below. 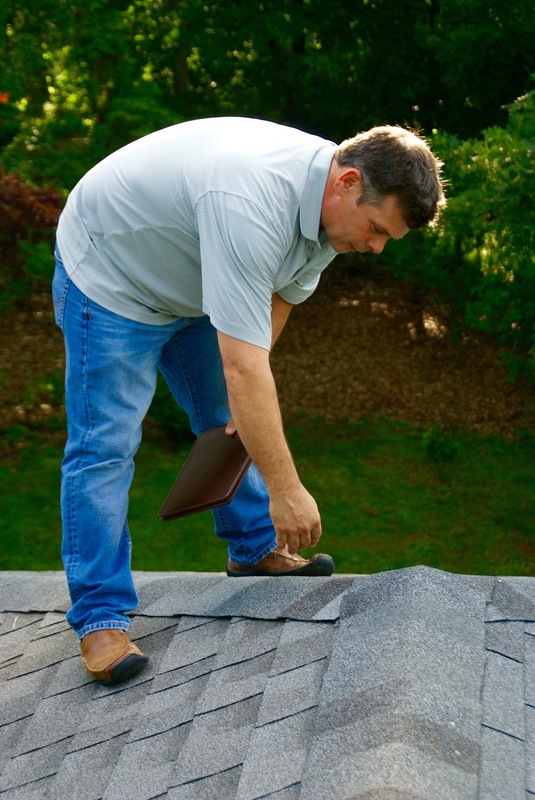 Inspectors will note torn or missing shingles and nail pops that may or may not indicate a full-fledged problem. To guarantee that you are buying a house with a durable roof, the inspector may suggest hiring a licensed roofing contractor to provide a full evaluation. A home inspector can only be responsible for the components that are visible. Most of the home’s plumbing system is covered by the walls. What is visible could show the home’s plumbing health. Galvanized steel pipes are an indication of outdated piping materials. Its corrosive qualities will cause it to fail before other materials. The copper piping is the best choice, but there are many other rigid and semi-rigid synthetic materials that are long-lasting and affordable. Real-estate contracts are structured so that major systems, such as electrical and plumbing, are reviewed and obligate the seller to fix most deficiencies to complete the sale. But other imperfections that fall outside of the contract's purview may go unrepaired. For example, the inspector noted damaged siding or old windows that the seller is not required to fix but that could develop into a much bigger problem later.